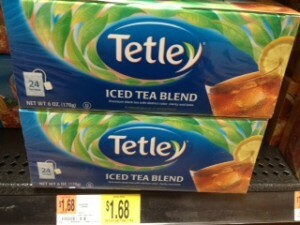 Tetley Tea (24pk) only $1.18 w/ Coupon! NOTE: Fan Janet let me know that Harris Teeter has these for $2.29 and are doubling coupons, making this only $0.05! !